Get inspired with these top ideas for weekend UK city breaks. Beds on Board have compiled a guide of our top 5 British cities, made better by staying on a boat! Britain is blessed with so many great cities to explore. We have picked our top city break destinations worth exploring – including one or two that you might not expect! We know that finding a short break at an affordable price can be difficult. In our top 5 we have not just given you ideas for a weekend away but also combined accommodation at an amazing low price. Our weekend away ideas naturally include unique stays on boats … UK City breaks have never been so exciting! Looking for a beautiful city break destination? Bath is a city complete with Georgian architecture and an abundance of things to do, yet is also sure to be one of your best weekend breaks if you are just looking to relax and unwind. Bath is the only place in the UK where you can bathe in naturally hot spa water and original Roman Baths and is so special that it is a UNESCO world heritage site. Whether you fancy a romantic short break, a fun family holiday, an indulgent foodie getaway or an exciting day out on the bus or train, Bath guarantees to delight. The area also gives you easy access to iconic visitor attractions such as Stonehenge and Longleat Safari Park. For a unique place to stay in Bath check out our search for boats to rent in Bath today. Liverpool has to be near the top of the list for city break ideas. With its unique attractions, exciting events, world class sports and unrivalled musical heritage. With the largest collection of museums and galleries anywhere outside of London, Liverpool’s culture and heritage are at the very heart of the city. The city that gave us The Beatles has moved on from its industrial roots to become one of Britain’s most dynamic and vibrant cultural centres. Many of the main attractions are concentrated around the historic Albert Dock, making a stay on a boat the best option (and often the most affordable option) for a place to stay in Liverpool. A city break in London will inevitably include a visit to some of the world’s best sights, attractions and activities. Even as a seasoned visitor you can’t fail to be excited by London’s amazing attractions. See the city from above on the London Eye; meet a celebrity at Madame Tussauds; examine the world’s most precious treasures at the British Museum or come face-to-face with dinosaurs at the Natural History Museum. Take your pick of world class theatre; from long-running musicals, classic plays, or brand new works making their West End debuts. Of course, as far as retail therapy goes you’ll be spoilt for choice when shopping in London; from the flagship stores on Oxford Street, to gifts and bric-a-brac at London’s markets. 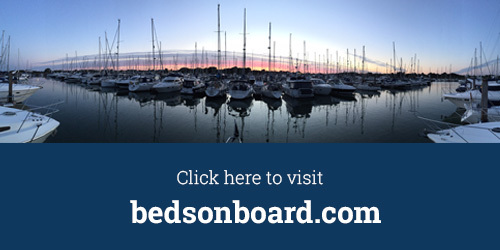 Just like the diversity of things to do on your city break weekend in London, Beds on Board also offers a wide range of boat accommodation options to suit all tastes and budgets. Start your London search here today. Discover Plymouth, “Britain’s Ocean City”. Plymouth is a vibrant waterfront city packed full of attractions. There are well-known landmarks, historical sites and natural assets to explore across Plymouth’s many unique areas and districts. It is here where Sir Francis Drake, intrepid explorer and local hero, is immortalised in a statue, just a few metres from the green where he finished his game of bowls before heading out to defeat the Spanish Armada in 1588. Come rain or shine you’ll find something for everyone among the city streets, surrounding countryside and marine environment beyond. Attractions include the Plymouth City Museum and Art Gallery, the Plymouth Gin Distillery and the UK’s largest marine aquarium. As well as celebrity chef dining at affordable prices with restaurants from Mitch Tonks and Hugh Fearnley-Whittingstall. The city-centre also offers a great selection of national and independent shopping as well as world-class theatre entertainment at the Theatre Royal. Using Plymouth as your base the rest of South Devon awaits. Featuring beautiful coastlines and stunning countryside as well as historic market towns, a wonderful scattering of villages and hamlets and of course the stunning Dartmoor National Park. Devon is waiting to be explored! Plymouth has many areas to visit, full of intriguing history, fascinating … and incredible views. Plymouth was recently declared as the number one best-value for UK city breaks. Staying on a boat goes a stage further and gives you an affordable and unique place to stay in this special part of the South West of the UK. Vibrant, Colourful & Creative – that is Brighton. Discover amazing attractions such as the Brighton Pier, the Royal Pavilion and the brand new British Airways i360. The city is also home to an eclectic mix of cultural delights as well as big name shops and hundreds of independent boutiques in Brighton’s world-famous ‘lanes’. There are many award-winning places to eat and drink in Brighton. From pubs and restaurants catering for all tastes to classic fish ‘n’ chips and creative vegetarian restaurants. There’s even a zero waste restaurant. Getting around is simple as it is a compact city and easy to explore. Make time to visit the city villages too including Hove; famous for its colourful beach huts, Regency architecture and Rottingdean, a picturesque, traditional English village. To really make the most of your visit and see all the city has to offer you’ll need some accommodation. Staying on a boat in Brighton Marina (UK’s largest marina) itself gives you access to a cosmopolitan cocktail of boating enthusiasts, bars, restaurants, entertainment and chic shops. It also offers easy access to the city centre making our selection of boats in Brighton the perfect choice for a city break. Combine the unique experience of staying on a boat with visiting one of the UK’s top 5 cities for a weekend away and make lasting memories. UK City breaks offer a great way to discover the history, culture and cuisine of an area quickly and conveniently. Stay on a boat, search for your next city break with a difference now. Do you agree these are the best weekend uk City breaks? Or have we missed out your great city getaway destination? Let us know.